Version 1.01 doesn't even try to connect to servers. The first major update to Pokémon Go has broken the app, a number of iOS users are claiming, with many unable to log in to the wildly popular monster-hunting game. As reported on Reddit, the 1.01 update to the iOS version of Pokémon Go bars users who have been connecting to Niantic Labs' servers using Pokémon Trainer Club accounts — rather than Google accounts — from logging in. An apparent bug in the update means the app no longer sends an HTTP request when users try to log in with their Pokémon Trainer Club accounts. Dogecoin founder Jackson Palmer and Reddit user borgopants spotted the problem by debugging network traffic and using proxies, identifying a pretty major oversight in the first major update to one of the world's biggest apps. Players are advised not to update their iOS app if they use their Trainer Club account to log in — like The Verge's own Tom Warren, who is currently unable to access the game — although people who log in using their Google account appear to be unaffected. It's not clear when Niantic Labs will be able to issue a fix for 1.01's problem, but it may take the developer a few days, as the update would have to make its way through the regulatory stages of Apple's App Store. So far the company has yet to acknowledge the issue. The 1.01 update had originally been slated to fix a lot of the network instability Pokémon Go has suffered over the past few days. Millions of new users have joined the ranks of Pokémon trainers over the past few days as Pokémon Go continues its staggered worldwide release, sending Nintendo's stock price soaring, but also hammering servers apparently ill-prepared for such an influx of people. 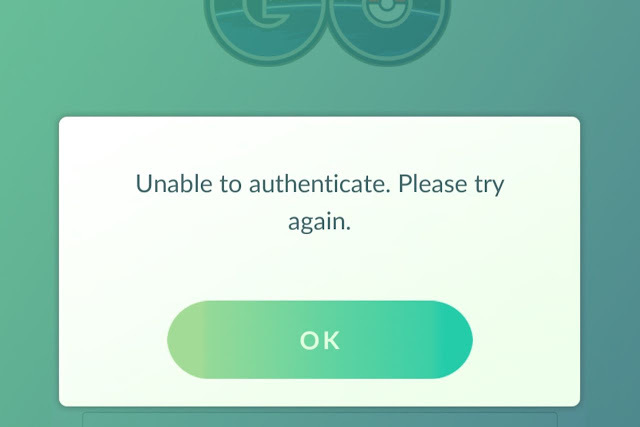 Today's error will be especially galling to people who chose to use a Pokémon Trainer Club account to log in to the game for fear that Niantic Labs could raid their Google account for their personal information at any time.